The Wars started, as wars so often do, almost by accident. Two groups of scrap-merchants, one Orkish, the other Chaos, landed on LV-428, long-forgotten jungle planet deep in The Fringes. The squabbled over salvage rights, as often happens. Harsh language was exchanged. Things were thrown. Shots were fired—again, not for the first time. In the past, such skirmishes had received little attention by the political or military leaders of the galaxy. The discovery of Goatronium, however, had changed all that. Old scrap had become potentially valuable for the Goatronium residues it might contain. Distant planets—especially those in the Fringes, where the strange radiation was especially strong—were now the object of urgent prospecting missions. This time the fight between junk-merchants wasn’t ignored. This time, reinforcements were sent. Historians now generally agree that the first military confrontation of the Goatronium Expansions came on 9.111.020.M42, when an advance force of Chaos Marines encountered a group of Orkish warriors from Da West End Boyz. The fight was short, bloody, but inconclusive, with the Orks inflicting more damage but failing to win a clear victory. Both sides immediately requested more reinforcements. Those requests were duly monitored by Imperium monitoring stations. A force from the 3rd Battalion of the Tiger Brigade of the Imperial Space Marines was sent to investigate and to prevent valuable Goatronium resources from falling into enemy hands.. What had started as a skirmish over scrap had become a three-way war for resources and strategic supremacy. The second Battle of LV-428 was also inconclusive. All three armies sought to capture an abandoned refinery. 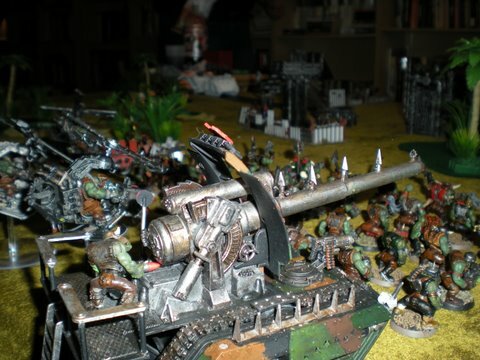 The Orks reached the site first, and inflicted significant casualties on Chaos units with a Boomgun-mounted looted vehicle. 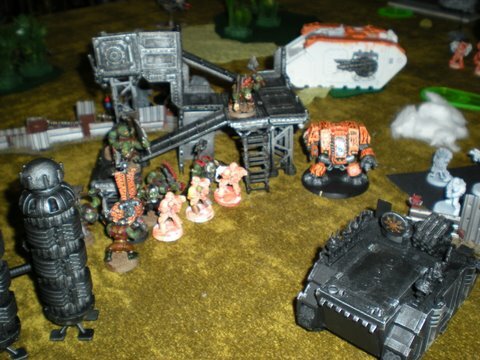 However, the Orkish warriors proved no match for the Chaos Marines in hand-to-hand fighting amid the abandoned industrial machinery. The Space Marines, meanwhile, pressed forward, despite the immobilization of their powerful armour by a lucky rokkit hit from an Orkish deffcopta. 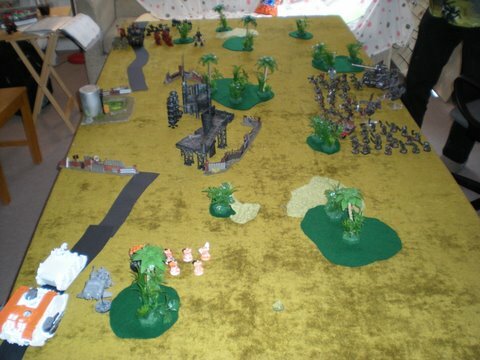 Their terminators terminated Orc squads, as the Marines traded shots with the hated Chaos traitors. In the end, no one had uncontested control of the refinery, but the Imperium had fared better than the others. With the first clashes inconclusive, more forces were mobilized. Fleets and armies were sent. The Goatronium Expansions had begun….